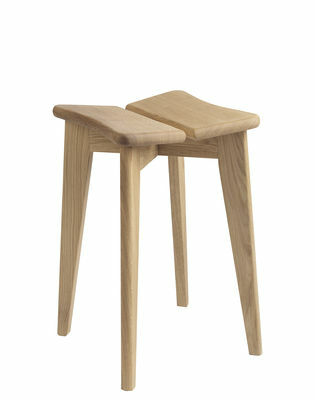 The iconic Trèfle stool was designed in 1949 by French decorator Marcel Gascoin (1907-1986). A member of the Union of Modern Artists with Mallet-Stevens, Perriand and Le Corbusier, Marcel Gascoin played a major role in the emergence of post-war French design. A cabinetmaker by training, he specialised in "series furniture" and always successfully combined modernism and democratisation. Compact, the Trèfle stool was designed to adapt to the constraints of the post-war era, when there was a need to rebuild at a time when space was lacking. It was created to fit the reduced dimensions of urban apartments built at the end of the Second World War. Marcel Gascoin took great care with the construction details found in the cabinetmaking techniques used for the Trèfle stool. 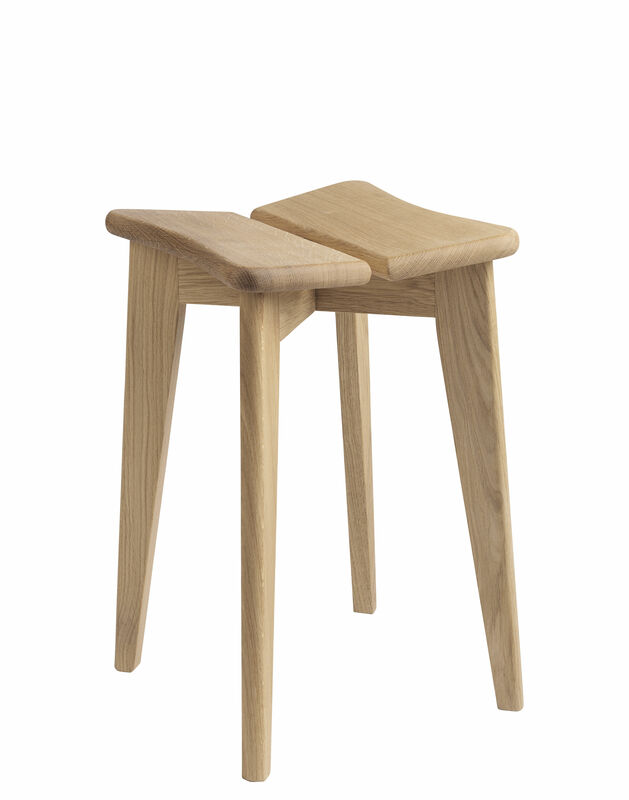 The split seat is combined with four sturdy, generously proportioned feet. Thanks to its elegant shape, sturdy construction and inviting seating angle, the Trèfle stool is a perfect blend of utility and beauty - a well-made, comfortable seat that is sculptural, too.